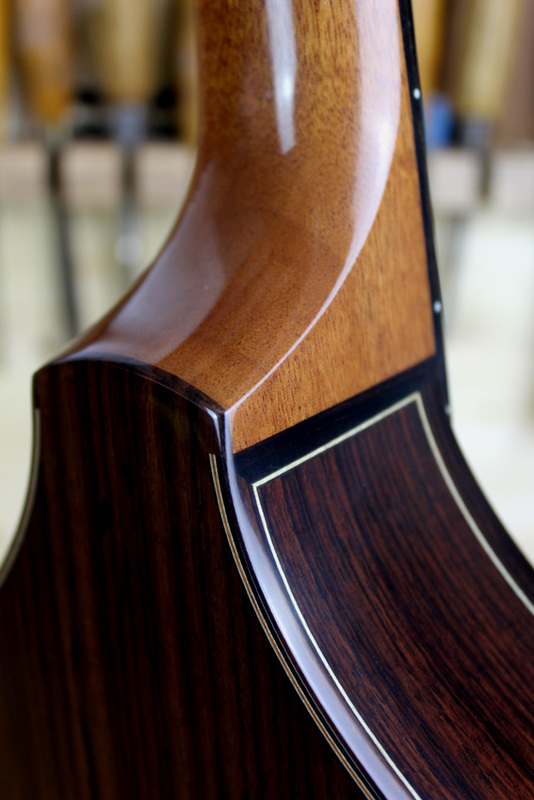 Rich, warm and complex tone. 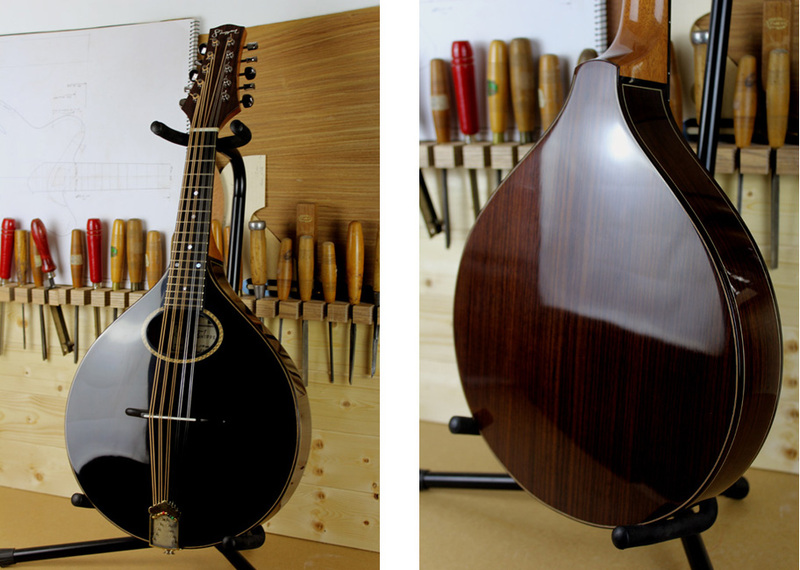 My first Rosewood 10-string mandolins were commissioned by Ewan McPherson (Shooglenifty) and Peter Jan Daems (MANdolinMAN). 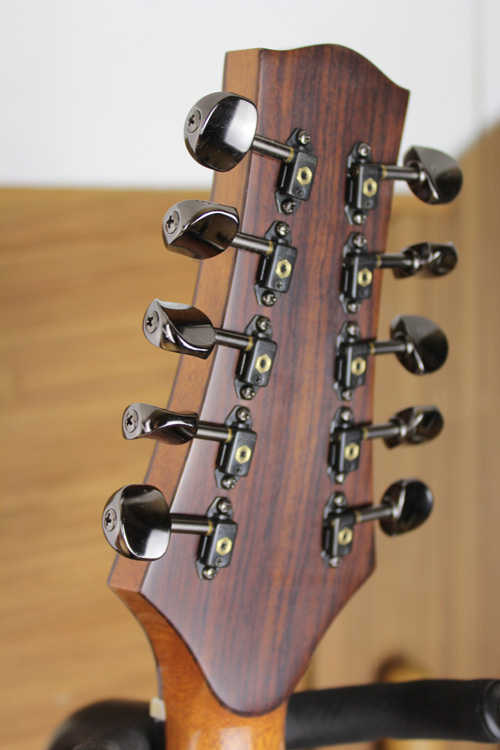 The design has evolved in some ways since then but is still essentially the same and has proved very popular. 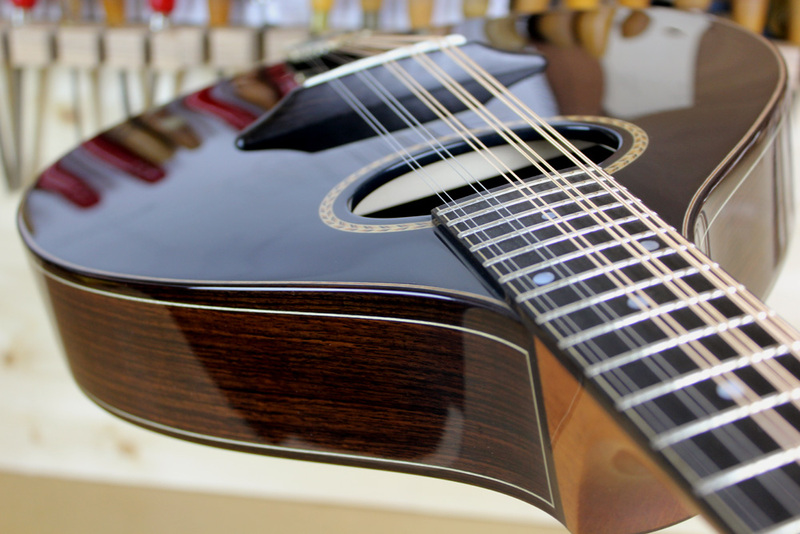 It has a hand carved spruce top that provides a sweet tone, coupled with the rich, warm, almost reverb-like quality of Indian rosewood. 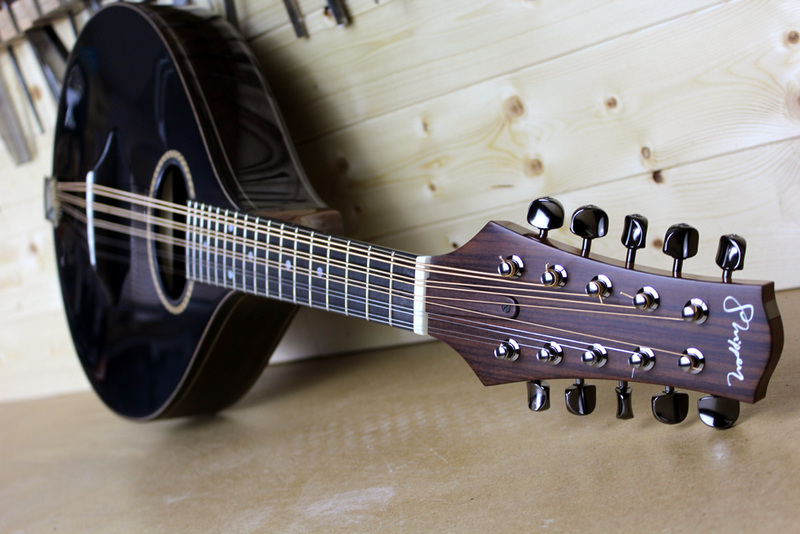 The Rosewood 10-string has a slightly longer scale than the 8 string models and is typically tuned CGDAE or DGDAE (low to high). 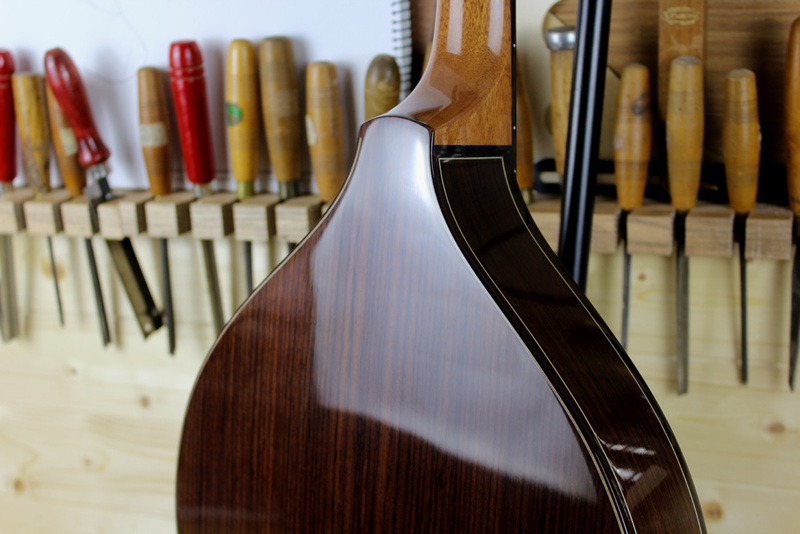 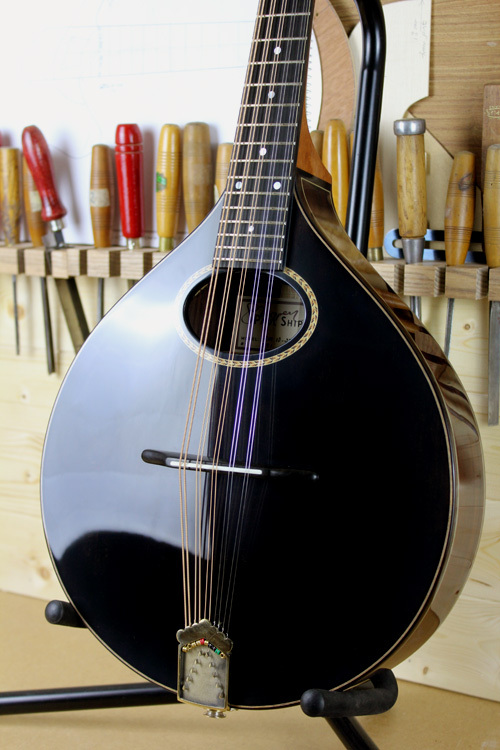 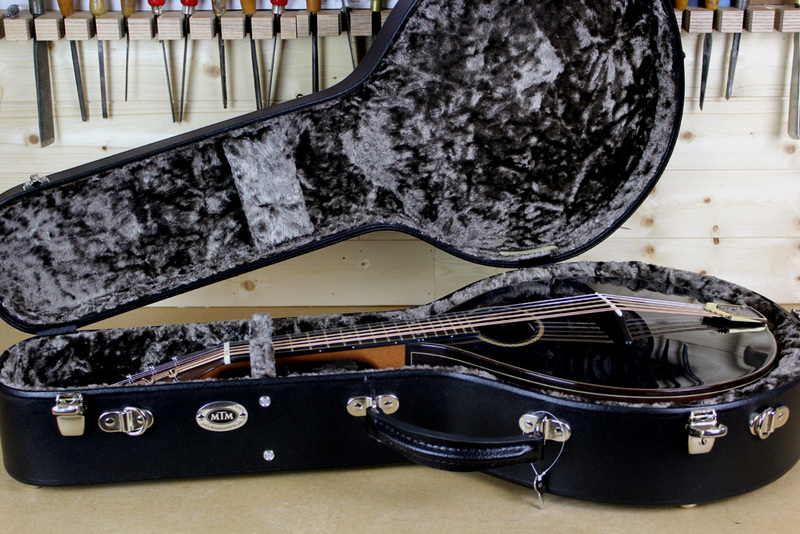 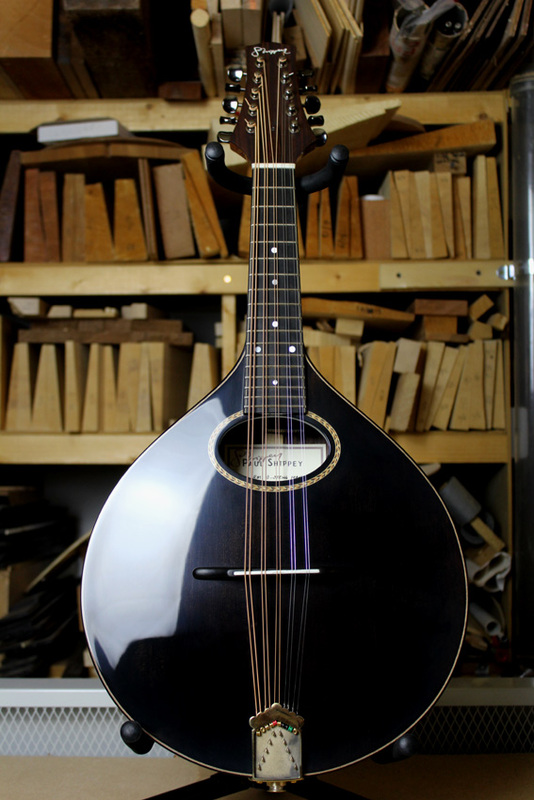 This combines the range of both standard Mandolin and Tenor Mandola in one instrument.